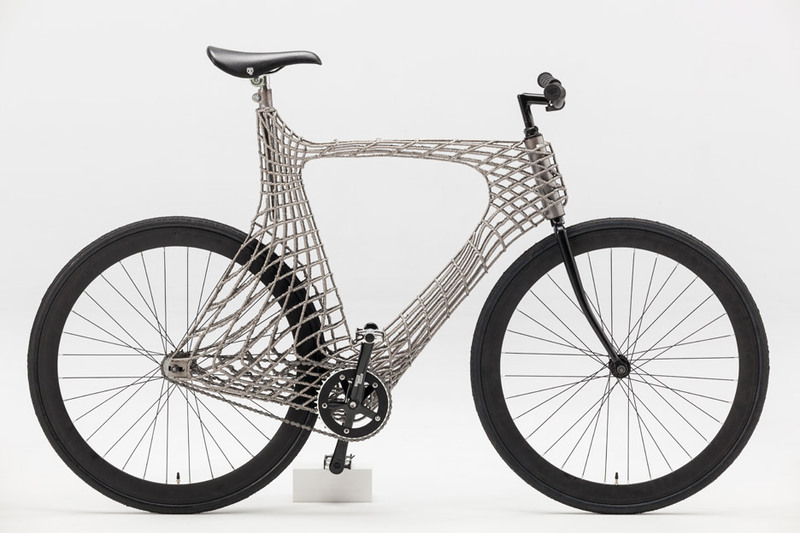 People in the Netherlands will soon be able to cycle over the world's first 3D-printed steel bridge on the world's first 3D-printed steel bicycle (+ movie). 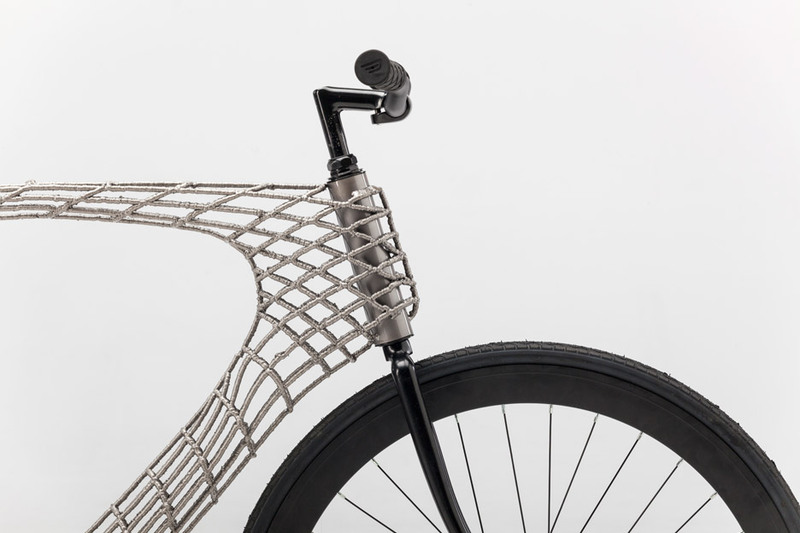 The Arc Bicycle was designed by a student team at TU Delft and 3D-printed from steel by MX3D – the research studio that plans to use the same technique to create a bridge over a canal in Amsterdam. 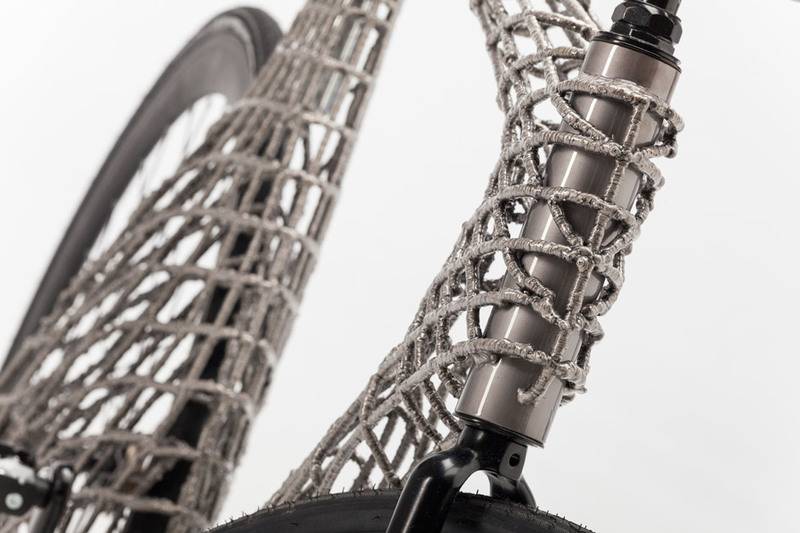 Created as part of the six-month Advanced Prototyping course at the university, the bicycle's frame is made from a metal lattice welded in layers by robots. MX3D's six-axis robotic arms allow metals and resins to be printed mid-air in any direction, without the need for support structures. "3D printing has exploded in popularity in the last decade, but for those wanting to print medium- to large-scale objects there are still significant limitations in the technology," said Harry Anderson from the 3D Building FieldLab team at TU Delft, also known as the Delft University of Technology. "This method of 3D printing makes it possible to produce medium- to large-scale metal objects with almost total form freedom," he added. 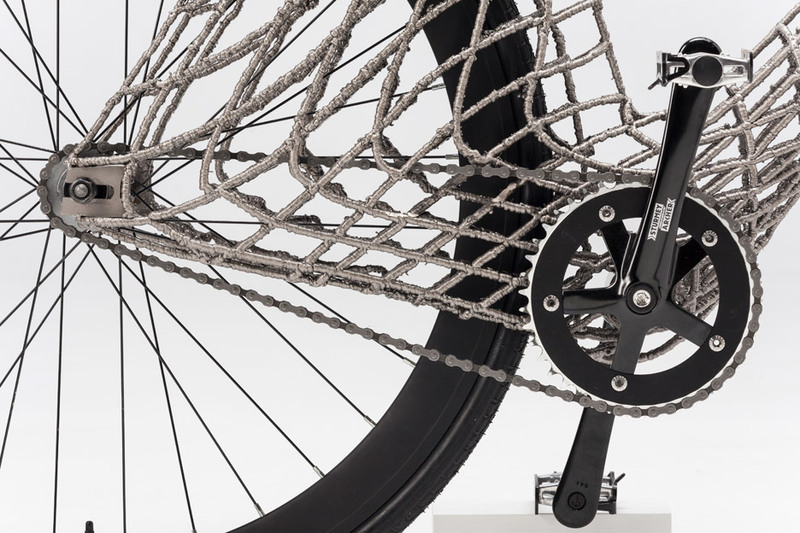 The team, lead by project coordinator Jouke Verlinden, claims that its bicycle is the first to be fabricated using this process. 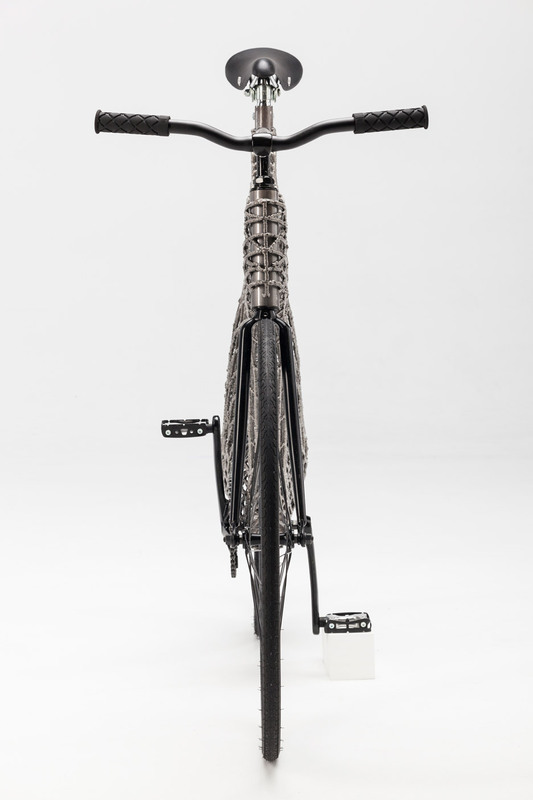 The vehicle weighs around the same as a standard steel bike, and its frame can withstand rides over cobbled streets. "It was important for us to design a functional object that people use everyday. Being students in the Netherlands, a bicycle naturally came to mind," said team member Stef de Groot. 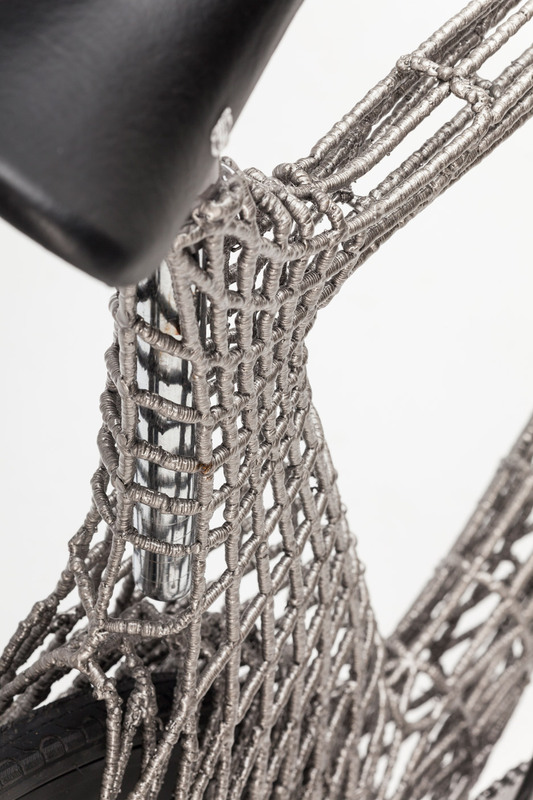 "A bicycle frame is a good test for the technology because of the complex forces involved." 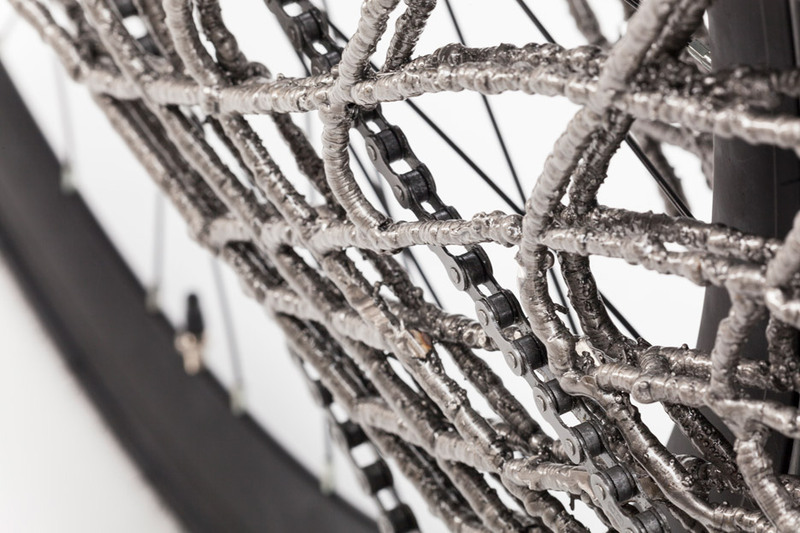 The Arc Bicycle was used to demonstrate the technology that MX3D plans to construct its 3D-printed canal bridge with. The research and development startup, co-founded by designer Joris Laarman and Tim Geurtjens, aims to print the eight-metre bridge in one piece and install it over a canal in Amsterdam by 2017. Laarman told Dezeen that their printing technique could be used to produce "endless" different structures in an exclusive movie. 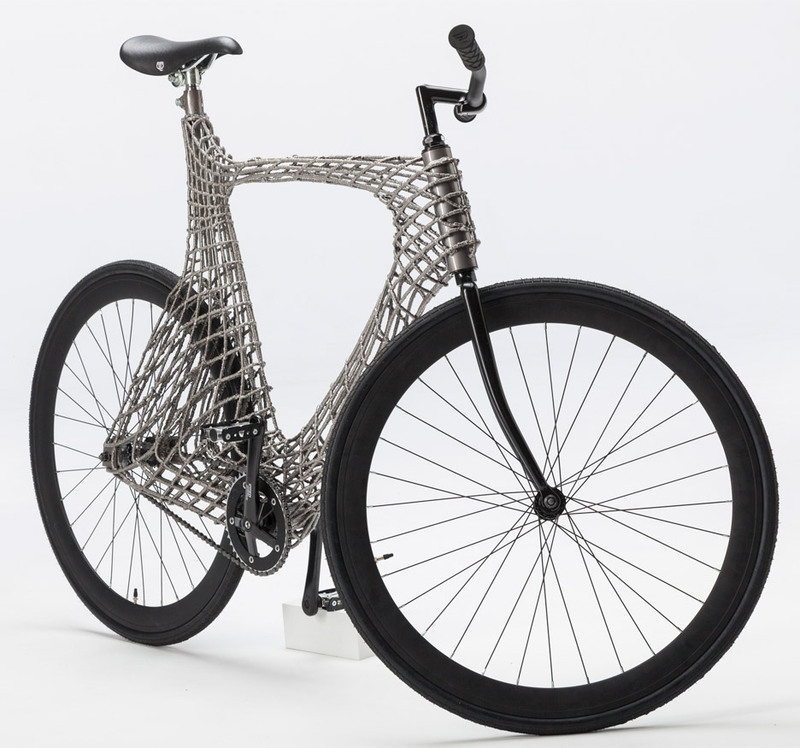 3D-printing has previously been used to create a lightweight titanium alloy frame for a bicycle, and aluminium parts for a wooden bike.